Being creative is the most important business quality today. No business can stay competitive for very long time without being creative. But what is creativity? It happens when something new and valuable is born, a brand new concept, product, service… actually it can be anything else. Innovations, the most powerful economic weapon, are a bright example of creativity. There are countless examples about how innovations have changed business history, you can read about many such examples here on this site. There are hundreds of stories about David and Goliath here, in which a student starts a company in his garage or a dorm room and in a few years defeats the Titans in the business. These stories are about innovations and creativity. This is the sling which you can kill any business giant with. No matter how big it is, no matter how many people it employs. Today’s economy is driven by innovations and this is not going to change anytime soon. Just the opposite – to be innovative will be a matter of survival. This is why being creative is so important. It’s already a matter of survival. And this is true not only in the corporate world, but also in personal plan, too. Life is a competition, and you need to compete smart. 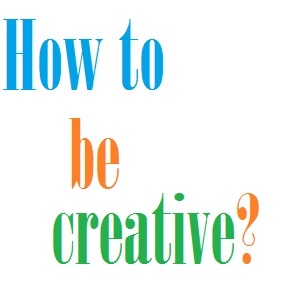 So how to be more creative? Actually it’s not that hard, there are some simple things you can do to boost your innovative thinking. For example, according to science, even a simple walk in the park can improve your creativity. Below are 28 more ideas for this, you can have a look at them right now. Here is a short and nice video giving some nice ideas about how to stay creative. Watch it and if you like it, please, share it with friends. Did you like the video? Don’t miss reading some more cool posts on our site. Thanks for being our visitor! You can try the related articles below if you need some more cool stories on the matter.